Fitting Microsoft’s cross-platform strategy, the Band works with iOS and Android devices along with the obvious Windows Phone, and except for Cortana support in the latter cross-platform support looks complete. 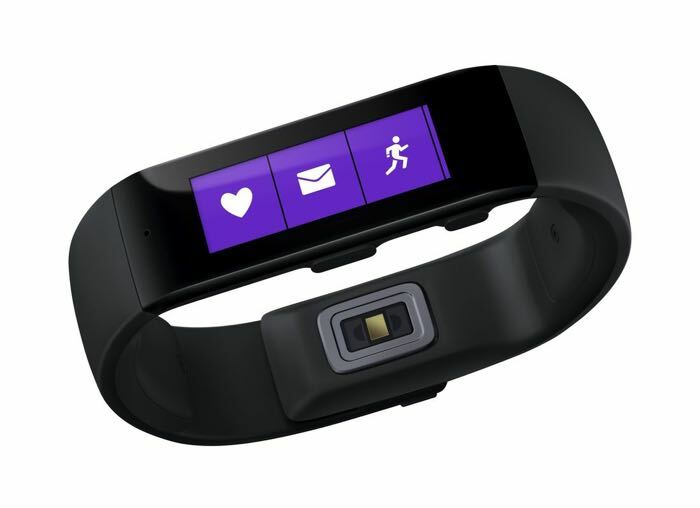 This is brilliant, and I’m guessing is more about pushing Microsoft Health than selling wearables. The Band is meant to support third-party apps via access to sensor data, and a handful of partners are on hand at launch (RunKeeper, myfitnesspal, Gold’s Gym, to name a few). Microsoft is also making Health fully accessible by third parties, and so I predict future smartwatches by OEMs that support Health and, hopefully, Windows Phone as well. Finally, Health can be tied to HealthVault, Microsoft’s service for sharing electronic health records across patients and providers. Go here for a good overview of Microsoft health from a professional’s perspective. The Band also offers a number of smartwatch-like functions, such as receiving notifications, setting timers, and taking notes and setting reminders via Cortana. Personally, I find the functionality almost perfect for a wearable–I’ve never wanted to duplicate my smartphone on my write, and the Band makes Apple’s Watch and Google’s Wear platform seem burdensome and kludge-y to me. It’s fascinating to see Microsoft take the helm as the company making a highly focused and simple to operate device in a new market. 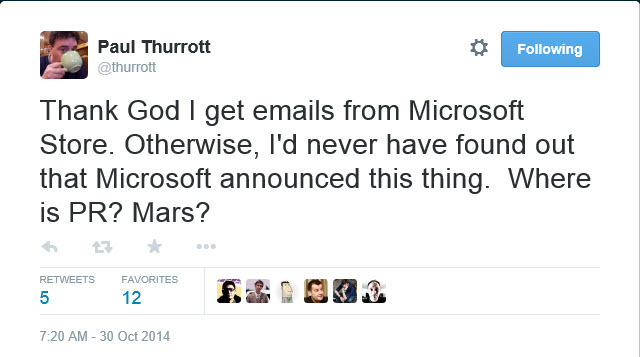 I’m guessing that Microsoft kept the announcement low-key for a couple of reasons. First, supply seems very limited; this feels very much like a soft launch. Second, I think this is a long-term play, and the focus in analyzing the Band should be on Health and not the Band itself. While the Band seems excellent, I think that ultimately it will be Health that represents Microsoft’s strategy the best. I like the Band quite a bit, but I’m not sure if I’m going to buy one right away. I’m not terribly active (although maybe the Band would shame me into taking better care of myself), and with limited funds I need to be a bit careful on where I invest in technology. The Band is a bit outside of my core focus as a writer here at The Tech Chat, and so I’m inclined to set my smartwatch budget for a different, perhaps more traditional device (in look and feel, not functionality). But for anyone who wants a wearable that can act as both a fitness band and a notifications center, which seems just about right, the Band looks like a good option. It goes on sale at the Microsoft store (brick-and-mortar and online) today for $199, in limited supply. Go get it if you want it.